Coco Beach Florida (CBF) is the closest beach to Orlando, and has turned out to be quite the cruise destination as well! 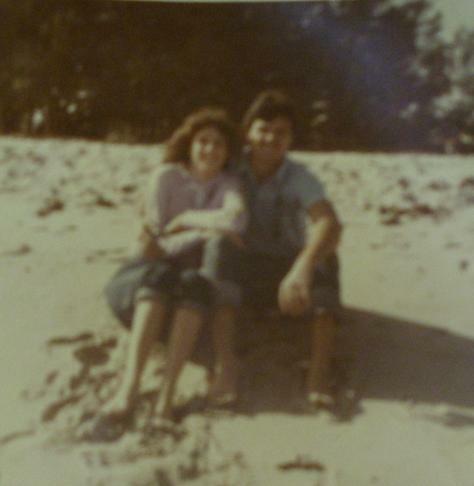 I grew up in Orlando, and the quickest beach to get to was CBF. It has grown up since the days when I was a kid. There are now lots of great hotels, restaurants, charter boats, cruise ships, fishing pier, Ron John's Surf Shop, a pier and some of the best surfing in Florida. 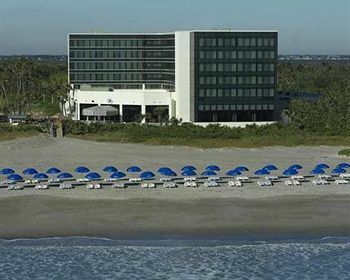 Click Here To Go To Our Cocoa Beach Hotel Page!!! On December 31, 2010 Patti and I decided to abandon everyone else and head to CBF! Here we are out for Chinese food on New Years Eve in CBF last year! We had a great meal at Yen-Yen's. It's New York style Chinese food - everything's not battered and deep fried. Their prawns are incredible! Check out our Cocoa Beach and Port Canaveral restaurant page - click here! Sand- castle time! Look at those waves! Great day at CBF! Just look at that sky! Sand- castles are hard work! Of course, Port Canaveral is also part of CBF! And, that's where 4 different cruise lines have ships (Carnival, Norwegian, Disney and Royal Caribbean). With Orlando being so close, it's a match made in heaven - theme parks and cruises! 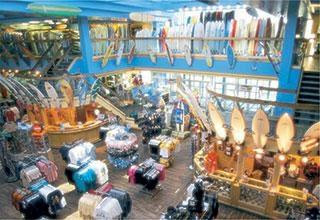 See More About Ron Jon's on our Ron Jon Surf Shop page! Click here! And, Kennedy Space Center is only 15 minutes away! It's where you can fall for an astro- naut! CBF is about an hour east of Orlando. 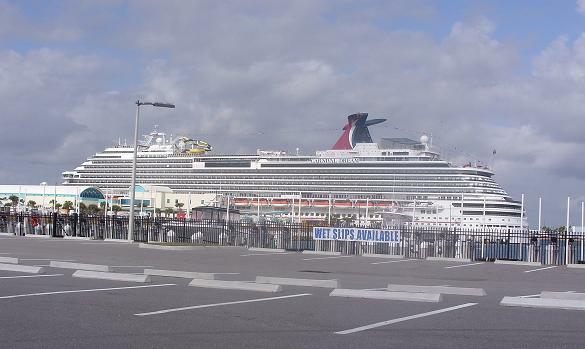 It's popularity sky rocketed with tourists when Disney decided to add a cruise ship to Port Canaveral (on the north side of Coco Beach). Disney offers package deals - stay at the parks and then head out on a cruise - sounds great! There is charter fishing at the port and a jetty to fish off of as well. CBF has miles of great beaches, and as mentioned earlier - plenty of hotels, restaurants, shops, easy beach access and even putt-putt! We recently made a nice little discovery! Click here to learn about the South Beach Inn!